When I was making my rounds this morning I noted a huge road block in front of our hotel. 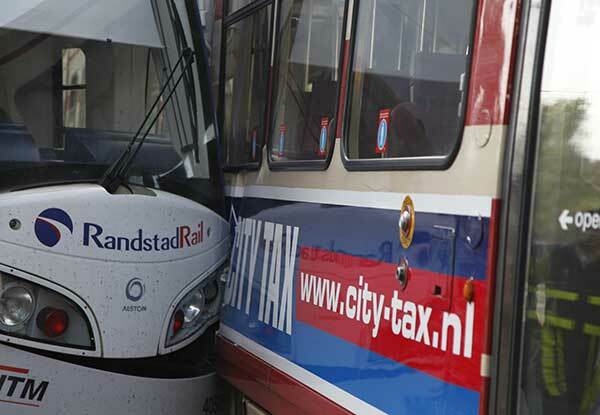 It turned out Randstad Rail, a mix between a tram and a metro, that runs there although the road is too narrow for it in my view, had kissed another tram. 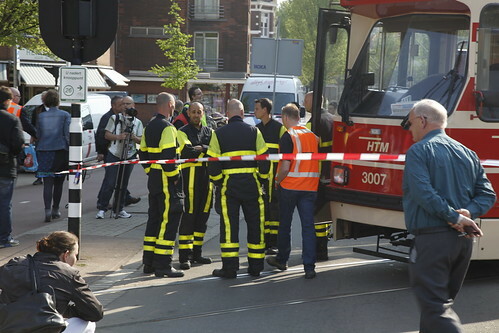 Luckily there were no casualties other than three light wounded persons. 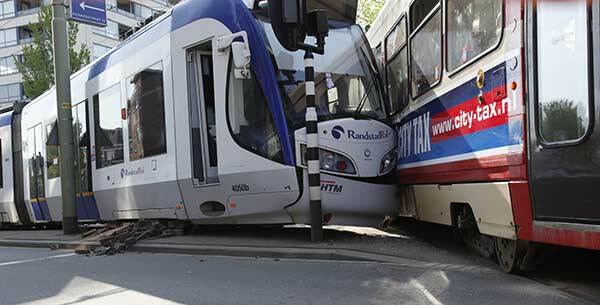 The collision was so powerful that both trams were pushed out of their rail and had to be put back by a ginormous crane. That had to be done very carefully and in phases, because of the electricity. I’ve uploaded a whole set of photos to my Flickr stream for those interested. Always amazing how many official looking people are standing around with their hands in their pockets. Ah and the “again” in the title is because there are of course more collisions, but this is one of the ones I’m actually aware of because they happen just in front of our house/hotel like this one.